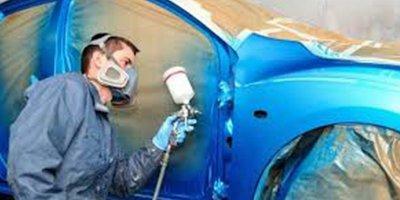 We offer reliable and prompt car spray painting services in Mitcham, Burwood, Box Hill throughout Melbourne. Whether you want to get your vehicle resprayed after a crash or smooth out the irregularities in the paint, we can perform all types and sizes of paint jobs at our auto body shop. We have qualified automotive spray painters, who take extra care of your car, as delivering exceptional service is their motto. We use the state-of-the-art paint booth and colour matching equipment. We use premium quality automotive paints and fast processes. We make sure that your vehicle gets the same shine it had on the day when you bought it, and guarantee you will leave with a smile on your face.